Performance: Powering the R3 is a 320 cc, DOHC, parallel twin featuring a 4-valve cylinder head, 32 mm throttle body fuel injection and 6-speed transmission. Dig a bit deeper and you will find many of the high tech features found in our R6 power plant inside this engine too. Highway speeds are easily obtainable making the R3 a very versatile machine. 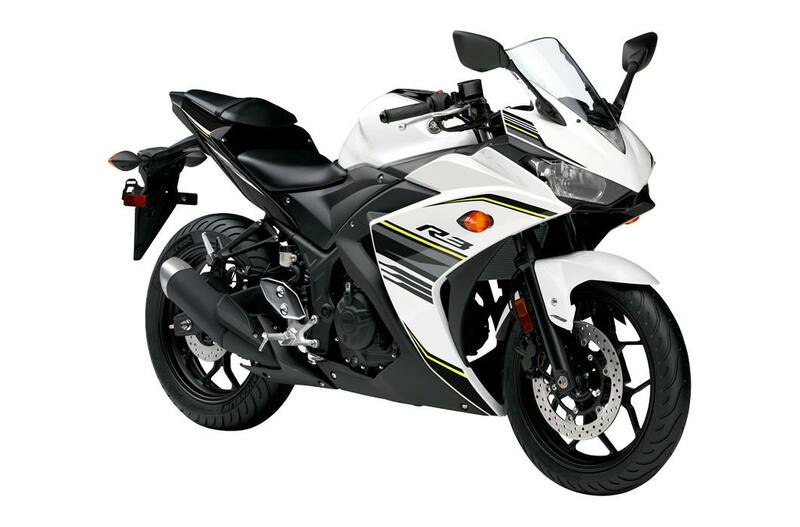 Easy Riding: The R3 has been designed to provide a fun, enjoyable riding experience. To R3 utilizes a lightweight diamond type steel frame which is narrow and compact with a low 780 mm (30.7") seat height. The addition of ABS gives you piece of mind while braking under pressure or in wet conditions. Air box utilizes a viscous paper type air filter. Compact, wet-type, multi-plate clutch: ensures consistent, positive shifting; light, easy clutch lever pull. The riding position is one of the most important features of the R3. Despite its super sport styling the R3 offers excellent rider comfort thanks to its upright riding position. ABS equipped 220 mm rear disc is squeezed by a lightweight single piston slide-type caliper. Lightweight, cast-aluminum 10-spoke mag wheels: reduce unsprung weight for great handling & suspension performance; front wheel size is MT2.75-17 fitted with a 110/70-17 tire; rear wheel is MT4.00 fitted with a 140/70-17 tire; Lightweight hollow axles front & rear. Reverse slant, dual multi-reflector 55 watt halogen headlights. Yamaha diagnostic tool coupler is located under the passenger seat. This system can significantly reduce diagnostic time in the event of a problem. Fuel Delivery: 32 mm throttle body F.I.